A wedding film tailor-made for sharing!? YES!! #Instagram #WeddingFilm #Throwback to our wedding day! After filming countless weddings over the past seasons, we at MotionCraft Creative are looking to offer something different to the wedding industry, a wedding video package that reflects the modern couple, a wedding video that remains current in today’s digital/ Instagram world. Interestingly enough, the view statistics and metrics for the MotionCraft Vimeo account from the past few years, point to the shorter ‘Vignette’ style films (of 1-2min duration) receiving more views than the longer ‘highlights’ style films. We put this down to their format being more ‘shareable’ and social media friendly. 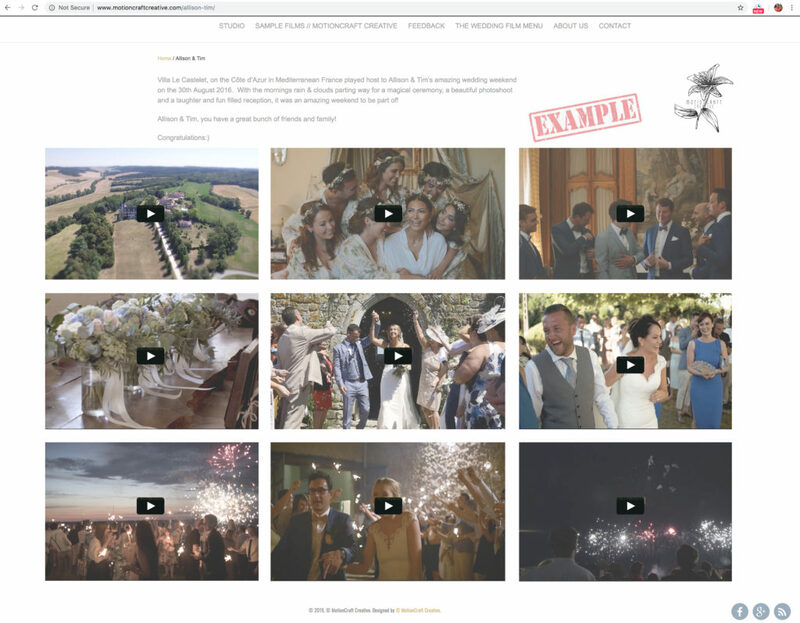 Leaving aside social media, we believe most couples would prefer to receive (alongside our custom USB boxes) a personalised wedding video webpage which is jam packed with videos and which really tells a story.. Rather than one single lonely video link! Head over to our Menu page for more details or drop us a mail!